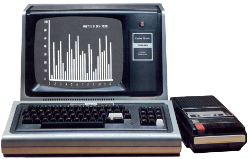 A short video showing off the TRS-80 display at VCF East has been posted. It discusses Ian Mavric’s FreHD and Grafyx Card. Link is here.